Åström wins the Goldie Award for Best Original Music for the comedy Dude, Where’s My Ferret? 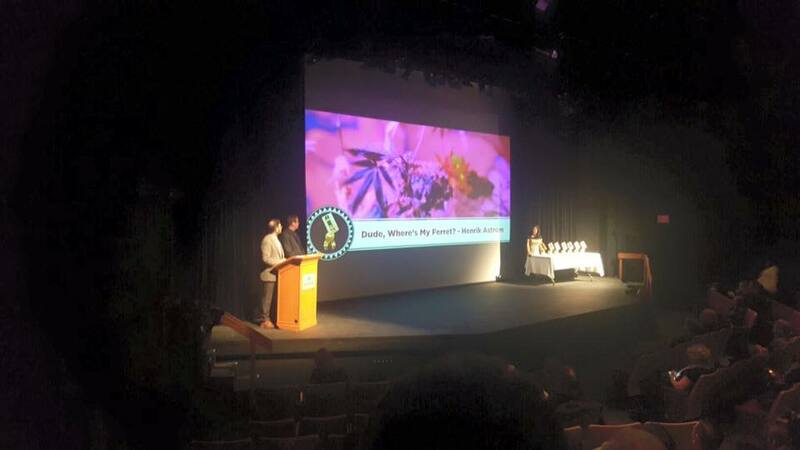 at the Vancouver Island Short Film Festival in Canada. The film is directed by Alison Parker and stars Jedidiah Goodacre (Tomorrowland, The 100) and Mike Smith (The Trailer Park Boys).